The move comes after the three-month deadline by Madras High Court to implement fully its order with regard to provision of ramps and fire-fighting equipment in hospitals in the State. 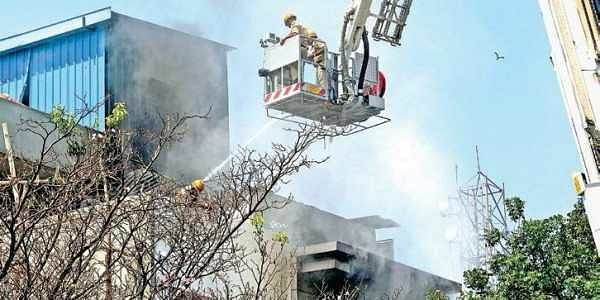 CHENNAI: The Tamil Nadu government has asked Joint directors of health services to submit a report before July 6 regarding fire safety and regular preparedness for emergencies in all private and government hospitals. The move comes after the three-month deadline by Madras High Court to implement fully its order with regard to provision of ramps and fire-fighting equipment in hospitals in the State is coming to an end. A circular which was issued by the office of the Director, Medical and Rural Health Services which was accessed by Express states that as per the Madras High Court directive and State government’s instructions, the joint directors of health services have to do a self-assessment study of their facility with the assistance of various departments and submit a report highlighting the deficiencies and remedial actions needed for fire safety. It is learnt that the PWD, Tamil Nadu Fire and Rescue Services, Directorate of Town and Country Planning department, Chennai Metropolitan Development Authority, Tamil Nadu Pollution Control Board, Electricity board and other departments have been asked to help the joint directors in submitting the report. The report should focus on recommendations, compliance with fire safety guidelines, training to staff and other remedial measures and time required to overcome the gaps. Interestingly, all hospitals, including government, private sector, corporate, non-governmental organisation-run hospitals, nursing homes, dispensaries, health care institutions and other similar centres in the districts will undergo inspection, sources said. The exercise is being undertaken following the Madras High Court order in September last year in a case filed by Jawaharlal Shanmugham, a social activist. On October 2016, the Tamil Nadu Fire and Rescue Services Department filed an affidavit, according to which not a single government hospital in Chennai has fire safety compliance certificate, which is mandated by law. For any hospital, a standard disaster management protocol is a must which otherwise would risk the lives of inpatients.